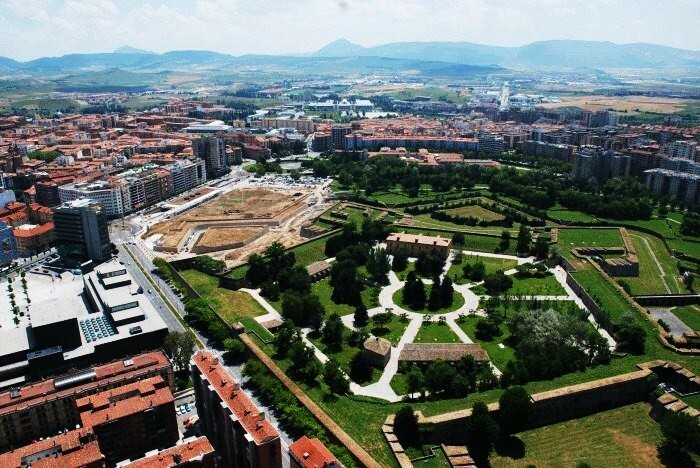 Pamplona is not only the oldest city in Spain, but also one of the most beautiful cities in the country. Book your RentalCars24H.com car rental package in advance to ensure your comfortable staying in Pamplona. Isn’t it great to get cheap rental cars by just saying where you want to go? Now you can easily make it with RentalCars24H.com! Pamplona is world-famous for its unique attractions - every year from 6 to 14 July San Fermin festival takes place there and the streets are filled with running bulls. Pamplona hotels are often located in historic buildings so the guests have an opportunity to touch the typical life of Pamplona: the heavy shutters and dark furniture. Using Pamplona car rental you can freely explore the town with its winding picturesque streets, quaint houses, diverse architecture and hospitable, welcoming people. RentalCars24h.com offers you reliable car rental Pamplona services that will help you to feel free and independent when moving around the town. Providing best online prices for car hire Pamplona services, RentalCars24h.com allows you to save money each time when you rent a car in Pamplona.